Many abusers engage in violent behaviors to systematically remove power from and maintain control over their intimate partners. Domestic violence crisis housing organizations aim to increase safety and help survivors regain their power. Yet, little is known about how these settings accomplish this aim. This study drew on empowerment and empowering settings theories to explore how organizational characteristics contributed to empowering practice, and how this practice subsequently promoted survivor empowerment. Researchers employed an exploratory-sequential (QUAL➔quan) mixed-methods design at a domestic violence housing organization. Twelve staff participated in inductive, qualitative interviews. This was followed by deductive, quantitative structured interviews with thirty-three survivors. Qualitative results from staff revealed that the setting was survivor-centered, mission-driven, and distinctive. Staff held basic assumptions about survivors’ right to self-determination. The relational culture emphasized partnerships, and people also had opportunities to hold meaningful roles within the organization. Setting leaders encouraged autonomy and creativity among all staff. Policies and procedures were also flexible. These setting characteristics were expected to support implementation of empowering practice. Quantitative results from the second phase supported a positive association between empowering practice and increased generalized, and safety-related, empowerment. This exploratory study suggests that setting characteristics are important to consider when understanding the complicated pathways that contribute to survivor empowerment and well-being. The authors thank the practitioners and survivors who participated in this study. We are also grateful to Dr. Kenneth Maton for his support of this manuscript. D'Enbeau, S., & Kunkel, A. (2013). (Mis)manged empowerment: Exploring paradoxes of practice in domestic violence prevention. Journal of Applied Communication Research, 41(2), 141–159. https://doi.org/10.1080/00909882.2013.770903. Gregory, K., Nnawulezi, N., & Sullivan, C. (2017). Understanding how domestic violence shelter rules may influence survivor empowerment. Journal of Interpersonal Violence. Advanced online publication. https://doi.org/10.1177/0886260517730561. Nnawulezi, N., Godsay, S., Sullivan, C. M., Marcus, S., & Hacskaylo, M. (2018). 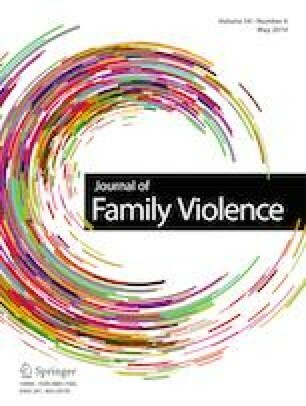 The influence of low-barrier and voluntary service policies on survivor empowerment in a domestic violence housing organization. American Journal of Orthopsychiatry. https://doi.org/10.1037/ort0000291. Sauber, E., & O’Brien, K. (2017). Multiple losses: the psychological and economic well-being of survivors of intimate partner violence. Journal of Interpersonal Violence. Advanced Online Publication. https://doi.org/10.1177/0886260517706760.